I have 3 B series Revs, STD Mid-Vent and Vented. I am looking to try something different. I have looked at the Vamp Devil Quad, I can get it in Oz quite cheaply. I do not expect Rev-Like Performance from it, but still want something that is fun to fly. Vamp devil is still new so not to many will have them yet but it looks like a decent quad. I like the design myself and plan to get on sooner or later. Sounds great too. I just love the look of it. 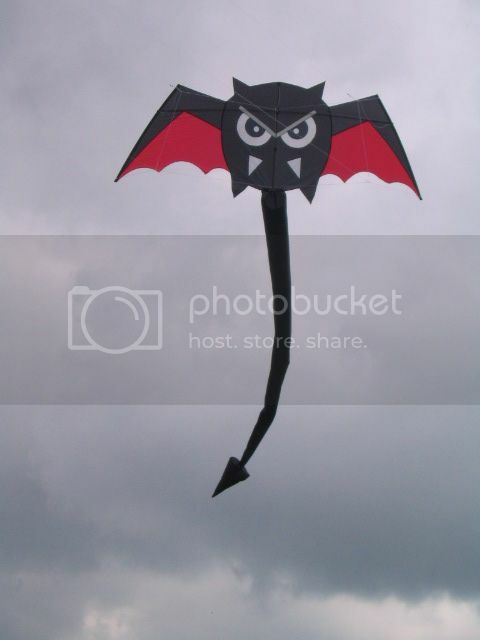 One of the best looking theme kites ever. Note the hanging flags lower right. 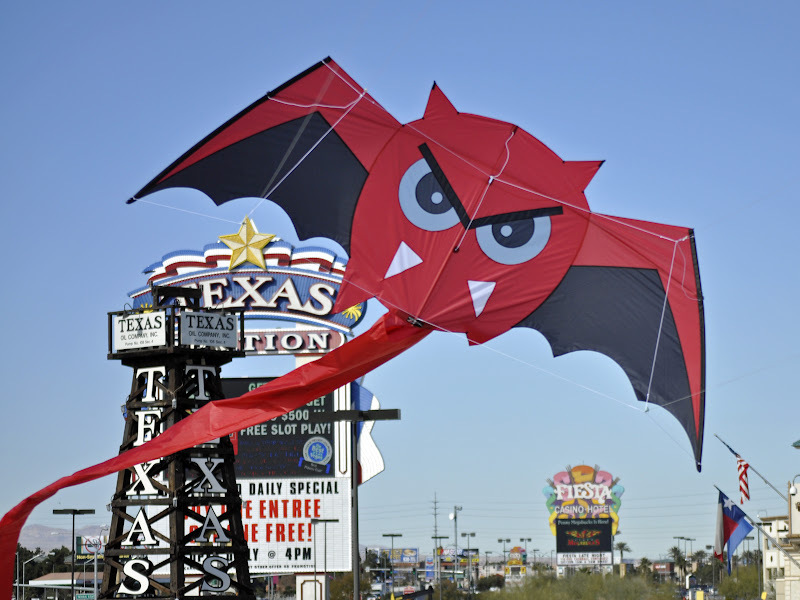 Fun to fly, not as precise as a Rev (certainly not with the tail attached)), but just a kite that puts a smile on your face. As the others have said, it needs a decent wind to fly, especially if you fly it with tail. Had my vamp devil for a couple of years. I love it. It is just fun to fly. And a great kid and crowd pleaser. Not as precise as a Rev. Did a routine with it at our local festival. Halloween music and dressed as a vampire. Lots of fun. Planning on changing the routine this year and use two vamp devils in reversed colors. I hope it works. LOL. Awesome, thatks for all the input and Sweet Pics. It is a Must Get on my shopping list now. We have Vampdevils in stock. Postage from the US is a killer. I usually sorce downunder, besides I am waiting for something from you already Kent. Not really in a position to buy right now, but I clicked through to see how much they go for. I can't find the listing for the life of me. Guess I'll have to take your word for it. They are not yet up on our website but we have all colors in stock in our store.